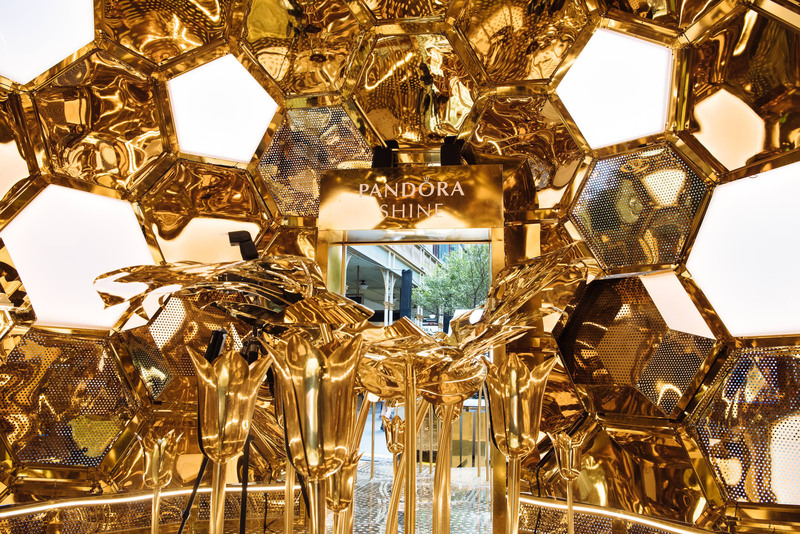 Pandora, the Danish jewellery brand, has built a large gold beehive in Sydney to launch a new collection. "The hive," created by Melbourne experience agency YourStudio, uses light, sound and scent to replicate a working beehive. Customers can enter the five-metre installation and listen to the sound of bees and take a closer look at the honeycomb structure. As visitors lean into the flowers for a closer smell they open up to reveal the new products in the Pandora Shine collection. Glenda Wolman, vice president of marketing for Pandora in Australia and New Zealand, said: "We wanted to bring the Pandora Shine campaign to life in a way that engages all the senses. "The Pandora Shine collection, in 18k gold-plated sterling silver, is themed around honeybees. 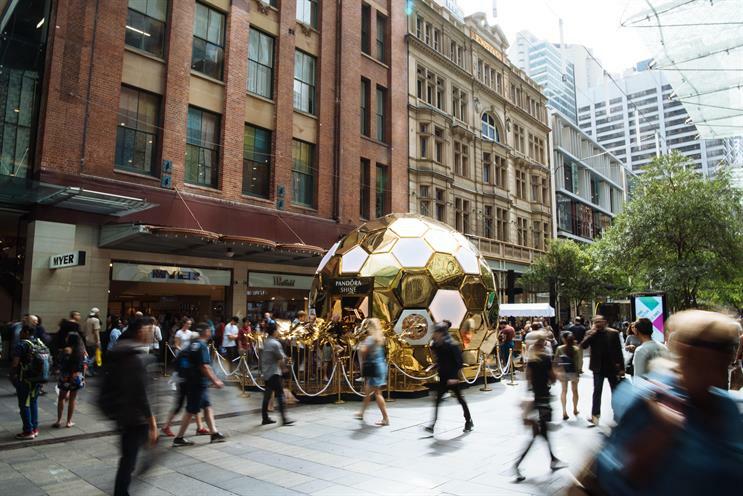 The Pandora Hive is the perfect way to introduce our new accessible high-quality golden jewellery to the Australian market in an innovative and fun way."